Most people enjoy traveling, whether it be to another country, another state or just to a different city. But with traveling comes responsibilities and some people may not enjoy all the aspects that go into traveling. 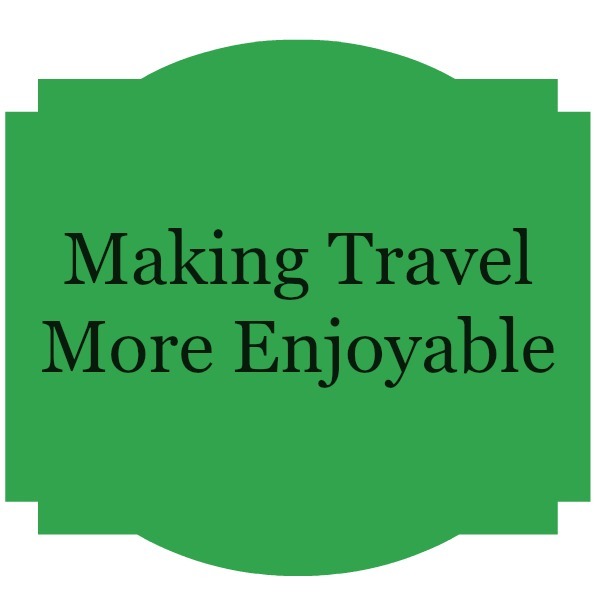 Well here are some suggestions for those people to help make traveling more enjoyable for them. -If you are planning a big trip going off somewhere far, you will want to take some time off of work before the trip and even after. So you have time to pack, make sure your home is safe while you are away, double check hotels, and things to do on your trip, and for when you get back, you will have time to unpack, get your sleeping schedule back on track so you will be ready for work and more. -Depending on where you are traveling to, make sure you’re staying/sleeping requirements are in line. Some people don’t enjoy traveling because their hotel stay was not the best, and they’ve already put so much money in for a certain amount of nights, there’s no time or extra money to switch hotels. Or even staying with relatives, it might seem nice at first to see cousins, parents, etc, but it could be hectic and uncomfortable sometimes. So bringing your own accommodation that fits you will help making your stay in your destination better. Try thinking about a travel trailer, either fully purchasing one for future use or renting one. There’s many areas for RV’s to park, and you’ll have your own stuff. Secluded area, kitchen, bathroom, bedroom, etc. Or even think about camping, it’s not for everyone but it is the cheapest. -Take enough time to plan and make a list of what to pack. You don’t want to rush it and end up leaving and remembering you forgot to pack a crucial item. Take in account of where you are going, and make a list of all the #1 things you absolutely need, then make a list of things that aren’t very important to have but would be beneficial if you still packed them. Always double check as well, make sure you have everything you listed. No matter where you go you should always pack things like a mini first aid kit. Anything could happen and you want to be prepared. Then go for the other essential items, like shampoo, body wash, toothbrush, etc. Then onto clothes, take as many outfits for the days you will be staying, bring an extra bag for dirty clothes as well. Pack any smaller accessories depending on where you are going and what season, sunglasses, bug spray, sunscreen, mittens, winter hat, etc. -If you are traveling with children, if they aren’t having a good time or if they aren’t occupied then you won’t have the greatest time. They’ll be bugging you, bugging each other, and the whole ride will just be horrible. So make sure you have plans for the kids. Snacks, little games, mini gas station stops for souvenirs and such. Keep them happy and entertained, so the trip will go smoothly. -Most importantly, if you plan on driving to and from on your trip you should definitely get a check up on your car before you leave. To make sure everything is running right so your car won’t break down in a foreign place and you won’t have to break the bank to get it fixed or towed to go back home. These are a few things that can help make your trip more enjoyable for you and everyone with you. Give them a try. For more travel stories or information on purchasing a new vehicle visit jeepcheap.com today.